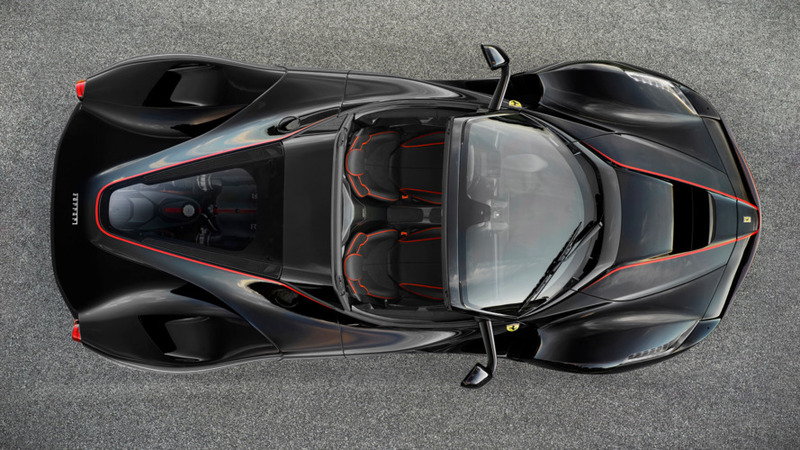 Ferrari has managed to find a way to make the LaFerrari even more desirable by chopping off its roof to create the Aperta. Those wealthy enough to claim one can still have it with an optional soft top or a carbon fiber hard top when the weather outside is not suitable for roofless driving. The company’s styling department has strived to preserve the looks of the coupe as much as possible, while the engineers were in charge of creating a wind-stop system meant to not only boost aerodynamics, but also to allow those inside the car to hear each other at high speeds. 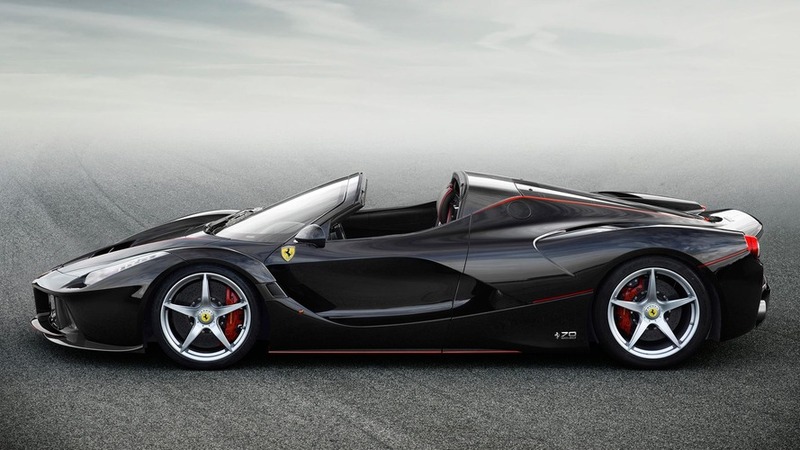 Perhaps the most impressive thing about the Aperta is that it has the exact same performance numbers as the regular LaFerrari, even though there is a “small increase in weight.” Without further ado, the open-top flagship model from Maranello will do: 0-62 mph (0-100 kph) in less than three seconds, 0-124 mph (0-200 kph) in fewer than seven seconds, and 0-186 mph (0-300 kph) in 15 seconds, en route to a top speed in excess of 217 mph (350 kph). 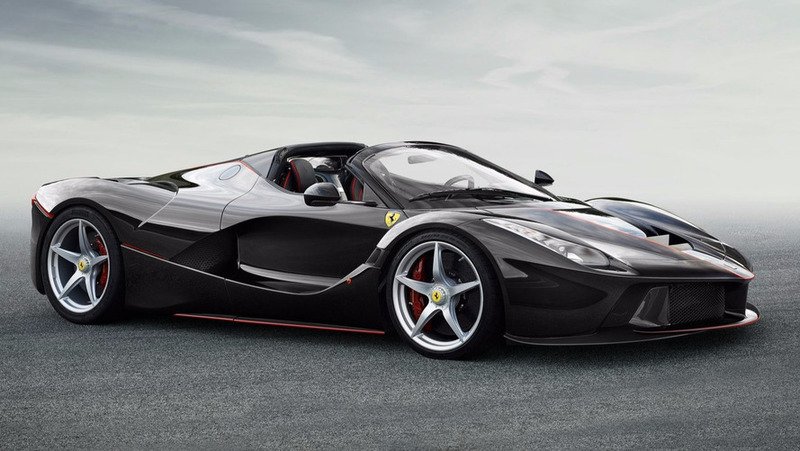 Motivation is provided by the same high-tech hybridized powertrain inside the Ferrari LaFerrari coupe with a mighty 800-hp V12 engine working together with a 163-hp electric motor to provide a combined output of 963 horsepower (708 kilowatts) and more than 900 Newton-meters (664 pound-feet) of torque. 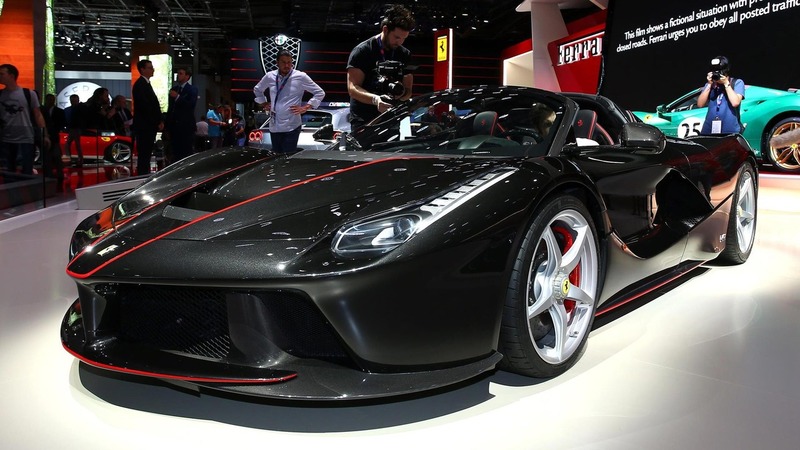 We also know the Aperta boasts the same torsional rigidity as the fixed roof model and with the side windows up it exhibits the same drag coefficient even when it’s driven without one of the two optional roofs. Ferrari has not specified how many cars will be made, nor has it said anything about the price tag. However, Autocar has learned from a private broker that someone pre-ordered the Aperta for a cool €3.5 million (about $3.9M) before taxes, and will have to wait until next year when customer deliveries will begin. 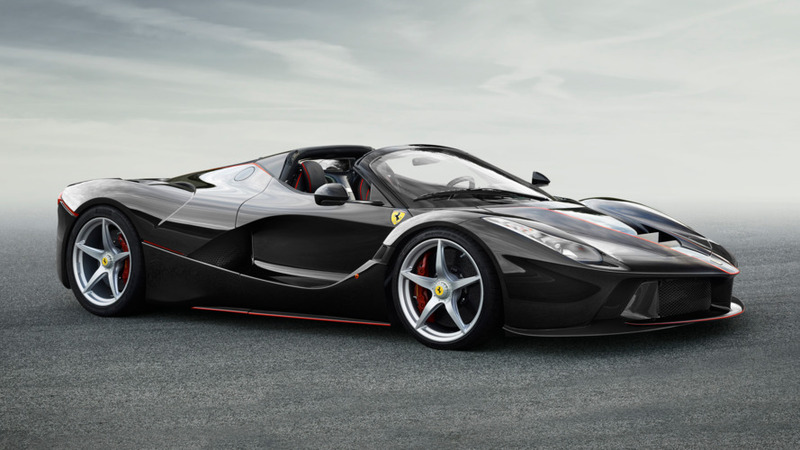 [update] Ferrari has announced it has plans to make 209 units, but unsurprisingly, all of them have already been sold. As a reminder, the coupe was built in a limited series of 499 examples. The batteries consist of 120 cells assembled into eight modules, with a power output that’s the equivalent of 40 traditional batteries but weighing just 60 kg. The batteries are charged in two different ways: under braking - even hard braking when the ABS intervenes, such as when driving on a track - and every time the V12 produces more torque than required, such as in cornering. The Hybrid Power Unit is essentially the HY-KERS system brain and controls power delivery from both the V12 and the electric motor via two inverters and two DC-DC converters. Variable-frequency control makes torque delivery rapid and precise. To boost volumetric efficiency, the V12 employs continuously variable-length intakes - a mainstay in F1 engine technology until banned by rule changes – which optimise performance as a function of engine speed. Similarly, the torque and power curves are optimised across the rev range. The hybrid powertrain generates total torque in excess of 900 Nm: the instantaneous torque from the electric motor is employed at lower revs and V12 engine power and torque is optimised at higher revs. The V12’s peak torque of 700 Nm is, in fact, developed at 6,750 rpm. Additionally, the entire intake system – from the dynamic air intakes on the top of the rear wheelarches to the intake plenum - was designed to maximise internal fluid-dynamics. The engine also boasts a very high 13.5:1 compression ratio for maximum combustion chamber efficiency.